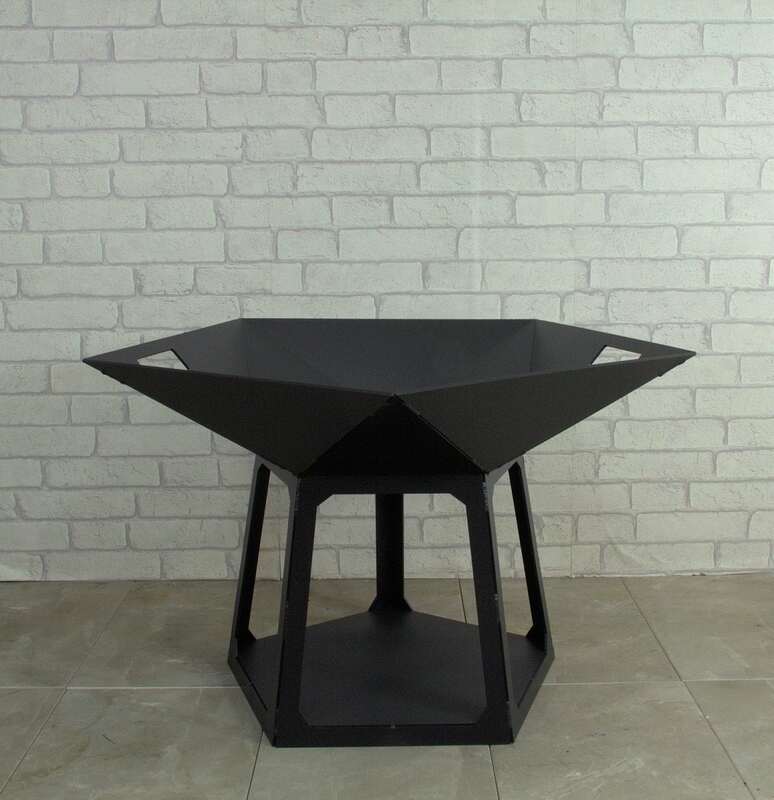 Our STAR firepit has been laser cut from 4mm thick steel and is stitch welded to ensure a robust product that will last a lifetime. 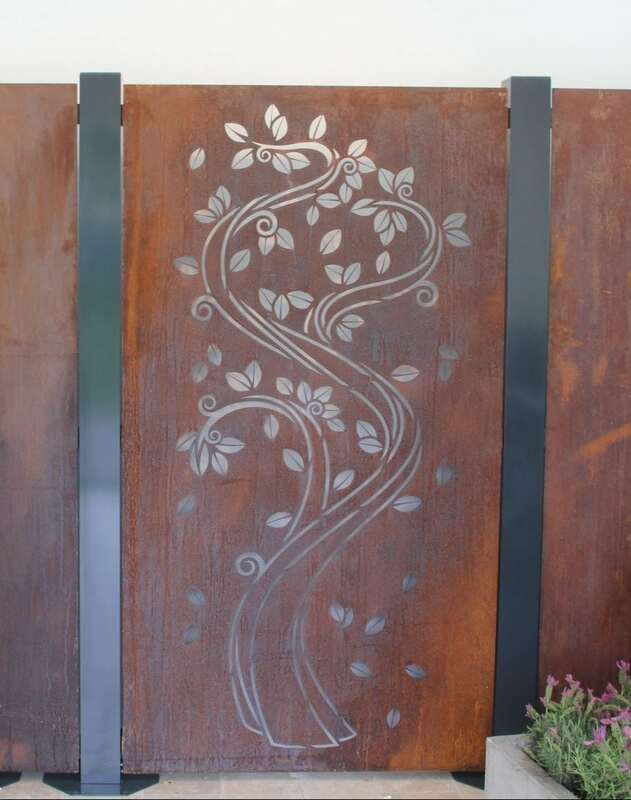 The design is simple but stunning and will stand out in your garden area and is available in natural oiled steel finish, which with rust over time or our powder coated finish in matt black. For a more luxe product, we offer our firepit in CorTen steel which is specified by architects and designers alike. 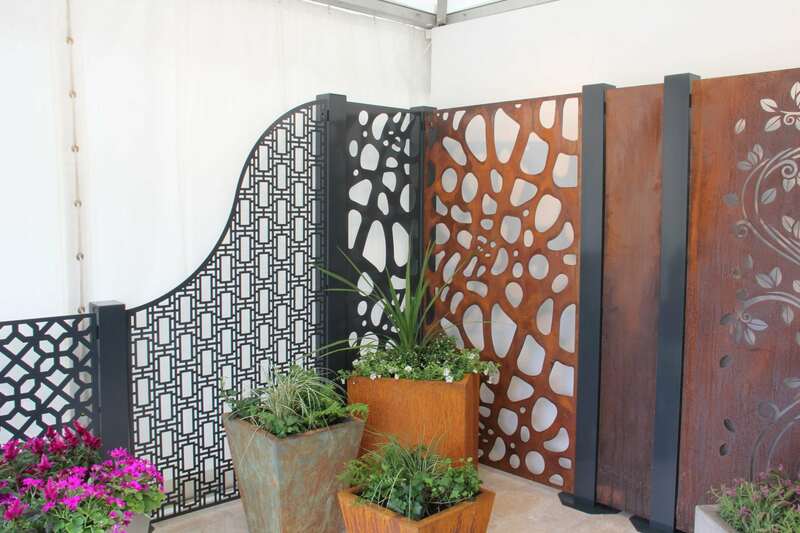 CorTen will oxidise naturally within weeks to a rich burnt orange finish that gradually turns to dark brown without jeopardising the structure of the steel. Available with or without personalisation this item would make a perfect gift for newlyweds, anniversaries or as a “new home” present. 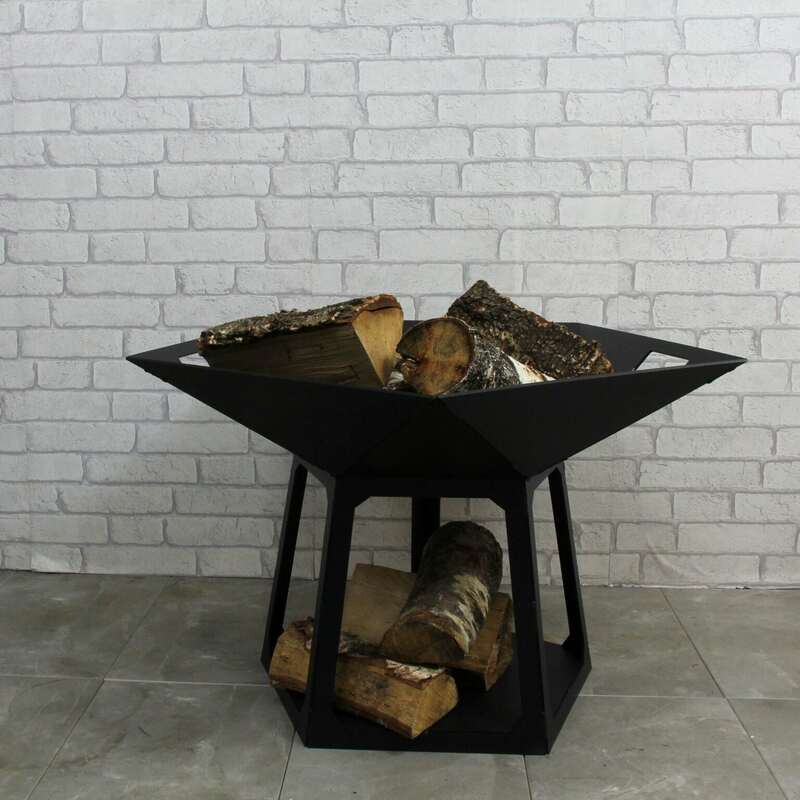 Our STAR firepit features two optional laser cut carrying handles, mesh air vent in the bowl and a great log storage area beneath the pit. Please be aware that for our oiled steel pit, the nature of the manufacturing process means some discolouration of the steel on initial receipt; this will disappear with the oxidation process.This product is designed to burn logs only. We offer monogram personalisation (4 letters) at no extra charge but if you’d like something more detailed then please add your detail at a small additional cost up to a maximum of 30 letters. Steel is a great conducter of heat and so please be sure that the firepit has completely cooled before handling/moving. Please do not leave unattended in the prescence of children. Please contact info@precious-design.co.uk with your personalisation details after purchase. dimensions: W76 x L76 with overall height of 50cm. Weight 27kg.